Rebecca Soni was born March 18, 1987 in Freehold. She was the second of two girls, born to Kinga and Peter, were both of Hungarian descent and came to the United States from Romania. Both Rebecca and Rita were good athletes. Rebecca was a gymnast and Rita was a swimmer. Often Rebecca had to hang around waiting for her sister to finish, so around the age of 10 she switched sports. The Sonis raised their girls in Plainsboro, about 20 miles from Freehold, and Rebecca attended West Windsor-Plainsboro High School North, one of the top public schools in the state. Basketball star Andrew Bynum was a classmate during her freshman year. As a teenage swimmer for the Scarlet Aquatic Club, Rebecca distinguished herself with explosive power, great technique and excellent stamina. She was also super-serious, rarely feeling good about a race or workout result, always believing she could have done better. Rebecca specialized in the breaststroke and was so good as a schoolgirl that her coach predicted she would be the first to break the 2:20 mark in the 200 meters. Rebecca was recruited by a number of top schools and settled on the University of Southern California. Her path to the Olympics seemed clear except for one thing: Every so often, her heart would suddenly start beating at twice the normal rate—or even faster—and she’d have to stop and get out of the water. Doctors told her she could have a procedure done to address the issue, but she backed out in her senior year. Instead she entered the summer nationals and won. Her plan was to do the summer nationals in 2006 after her freshman year and then have the procedure. When the episodes became more frequent at USC, however, she opted to undergo a cardiac ablation toward the end of her freshman year. At about the same time, her coach, Mark Schubert, was named director of the Olympic team. His replacement, Dave Salo, made drastic changes to Rebecca’s training routine. Salo had had great success with Amanda Beard, so he was a proven commodity. It took a while for Rebecca to buy in to his methods, but once she did her times steadily improved. She won the 100 and 200 meter breaststroke at the 2007 nationals. At the 2008 Olympic Trials, Rebecca finished 4th in the 100 meters. However, one swimmer withdrew and another missed an entry deadline, so she made the team. In Beijing, she finished second in the 100 meters to Aussie star Leisel Jones, but upset Jones in the 200 meters to win the gold. She also swam the breaststroke in the 4 x 100 relay and helped Team USA take the silver. Rebecca continued to develop in 2009, winning the 100 and 200 at the nationals. At the World Championships she won the 100, finished 4th in the 200, and barely lost the 50 meters. Swimming World named her American Swimmer of the Year for 2009. At a meet in Manchester, she broke Jones’s world records in the 100 and 200 on successive days. 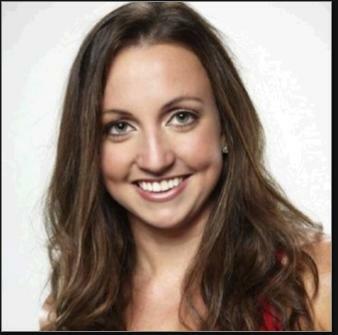 Rebecca defender her 100 and 200 titles at the 2010 nationals and later won three gold medals at the Pan Pacific Swimming Championships, repeating as American Swimmer of the Year. She won the award a third straight year in 2011. At the 2012 Olympics, Rebecca was upset in the 100 meters by 15-year-old Ruta Meilutyte, but won gold in the 200. In the finals of this event, she fulfilled her old coach’s prediction and set a new record with a time of 2:19.59—100th of a second under the 2:20 mark. She was also the first woman to win back-to-back gold in the Olympic 200 breaststroke. To finish off her remarkable performance in London, Rebecca was part of Team USA’s 4 x 100 medley that set a new world record. Rebecca developed a sore back after the Olympics and decided to sit out the 2013 season and recuperate. During her hiatus, she watched her 200M meters breaststroke record fall to Sweden's Rikke Pedersen. Rebecca decided to retire from competitive swimming in 2014 and opened a personal mentoring company called Rise Mentoring.